Dragon's Dynamite is the strongest magic truffle in our catalog. In a small dose (5-10 grams) the will induce a happy and funny trip. 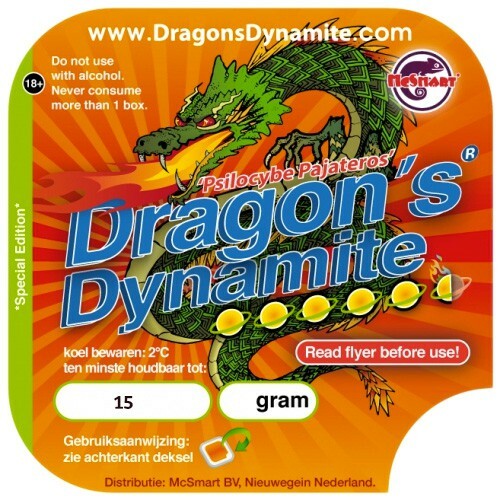 In a higher dose (15 grams) the Dragon's Dynamite will give a strong "ecstasy" trip with deep colours and is considered to be for experienced trippers only. 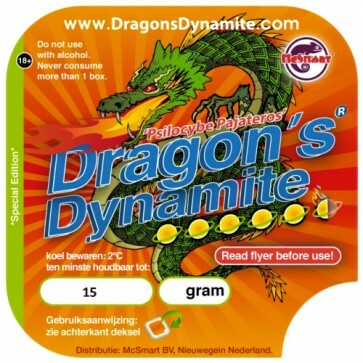 Dragon's Dynamite truffles are available in a 15 grams vacuum packed quantity. Because of this package, the truffles can be kept for a longer time. Upon receipt of the package, store it in the refrigerator (2-8°C) right away. It can be stored this way until the best before date as written on the package. very strong, veri inspirational, bad also very dangerous, as it can show you stuff to big for our mind to understand!